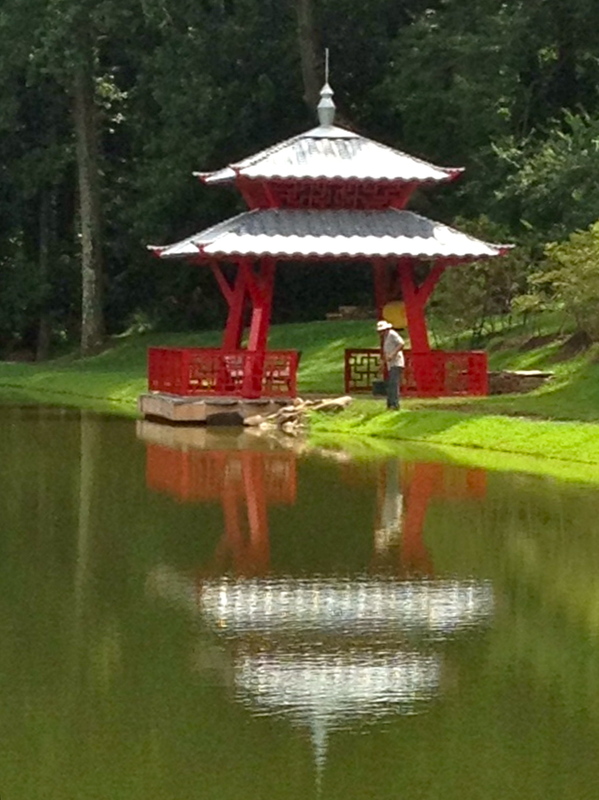 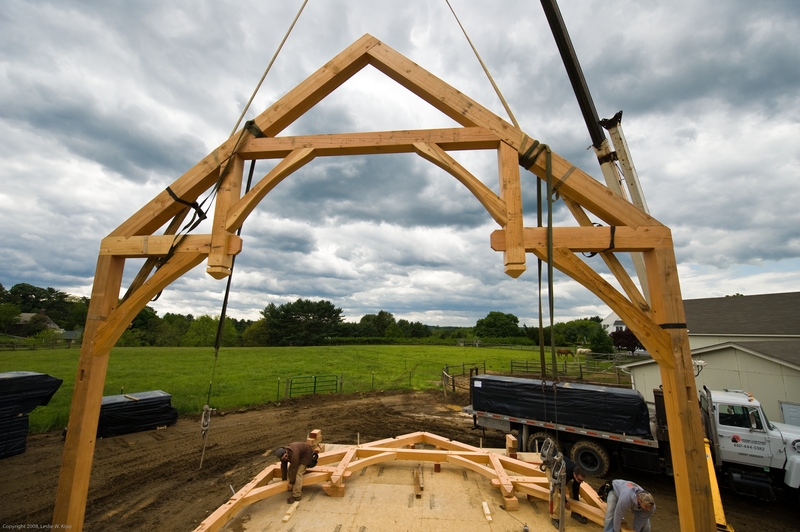 HLTF Archives - Hugh Lofting Timber Framing Inc.
June 12, 2014 : HLTF built the beautiful hourglass bridge at Longwood Gardens New Meadow Garden. 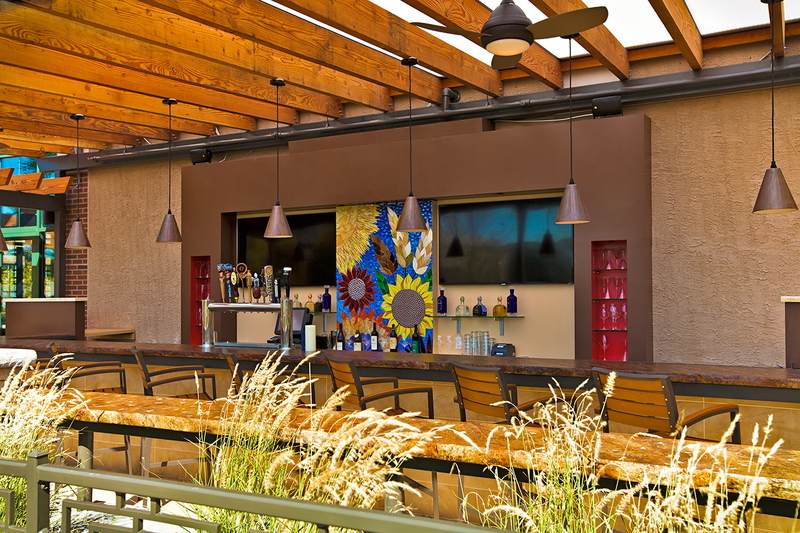 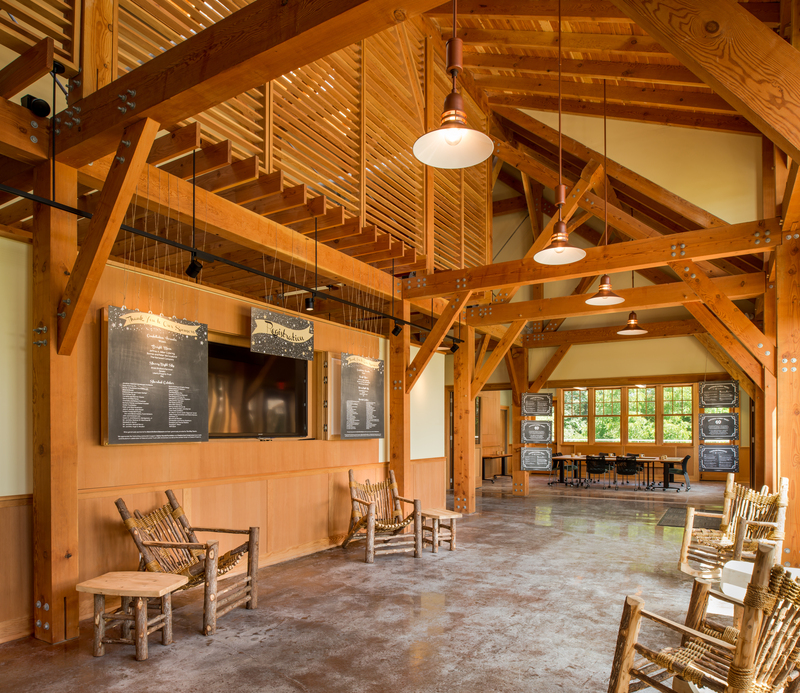 We are very proud to be part of this project as it promotes both environmental stewardship as well as sustainable building methods through the use of local businesses and regionally sourced materials. 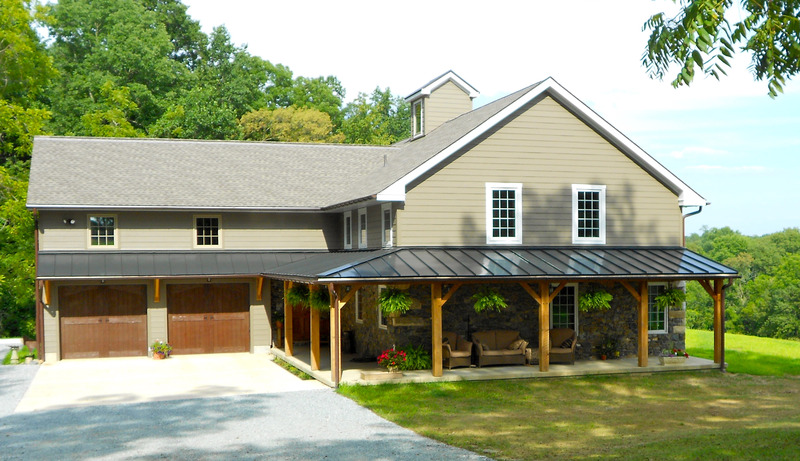 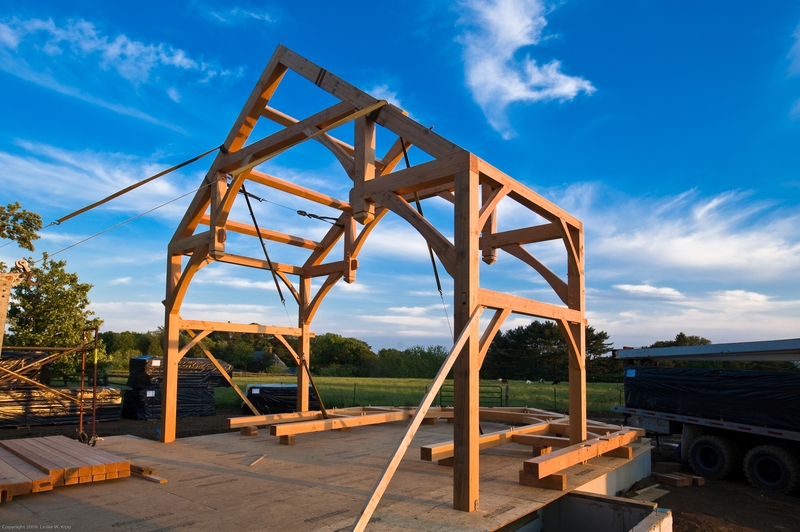 If you take a drive through Chester County horse country with Hugh J. Lofting, you’ll likely hear more about the King Ranch, township road maintenance, and American McMansions than you will about timber framing. 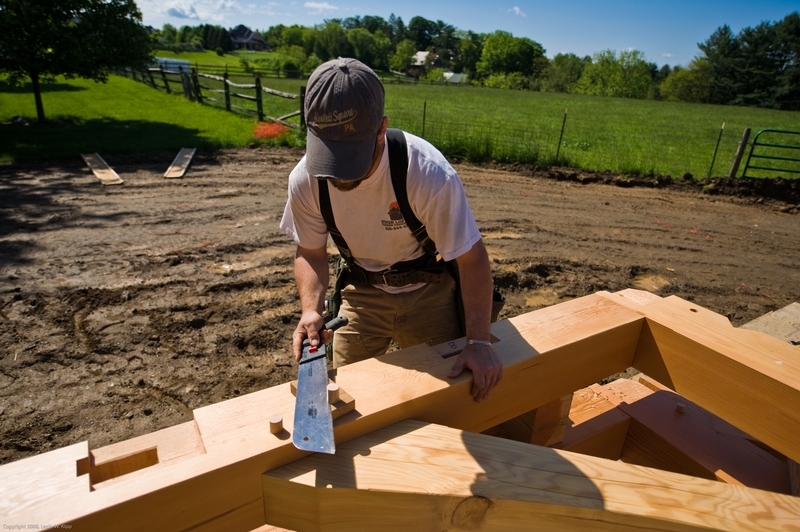 With self-deprecating humor and an easy laugh, Hugh is quick to point out some of the less-than-smart anecdotes of his youth (don’t take a sailboat dinghy down a hurricane-swollen river). 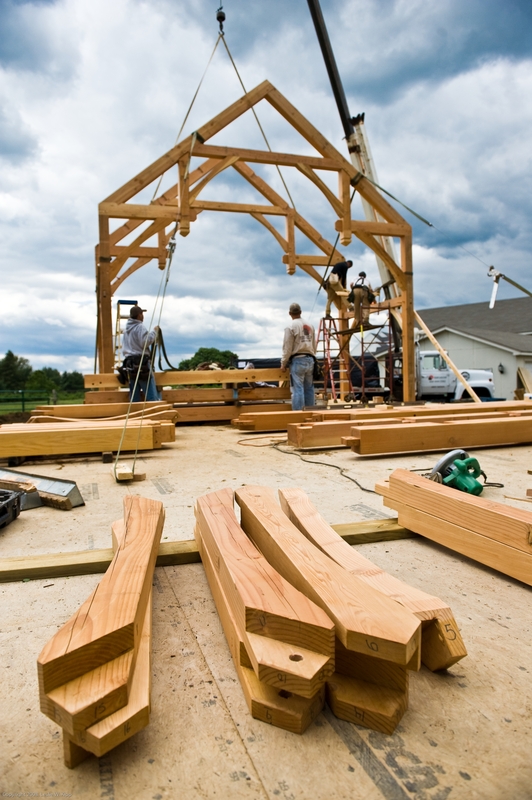 He weaves a story of family history in Montana and Pennsylvania and the evolution of his life and work, as intricate as the timber-frame structures for which his company is known – and as richly detailed. 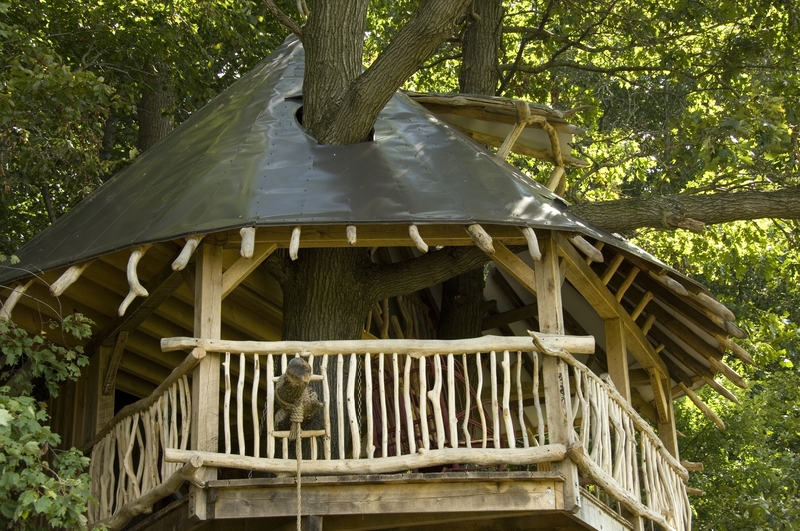 Even though today started out a little cloudy, it has turned out to be quite a beautiful day and I have found myself day dreaming about being outside in the tree house we built. 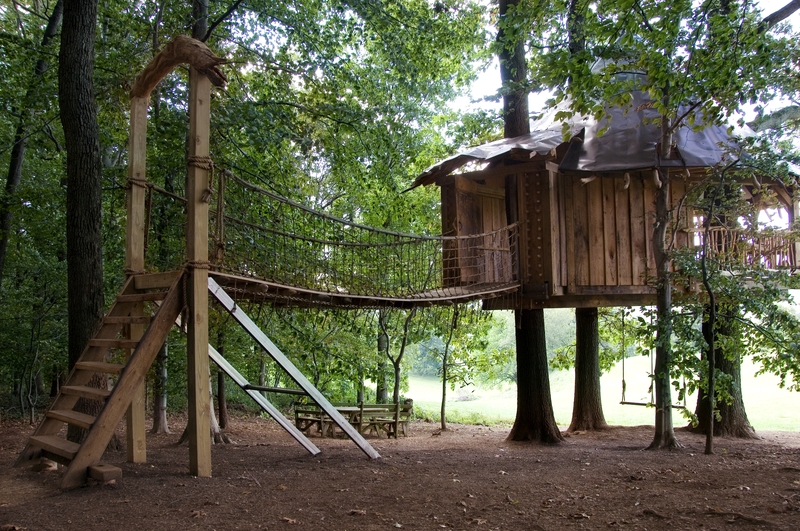 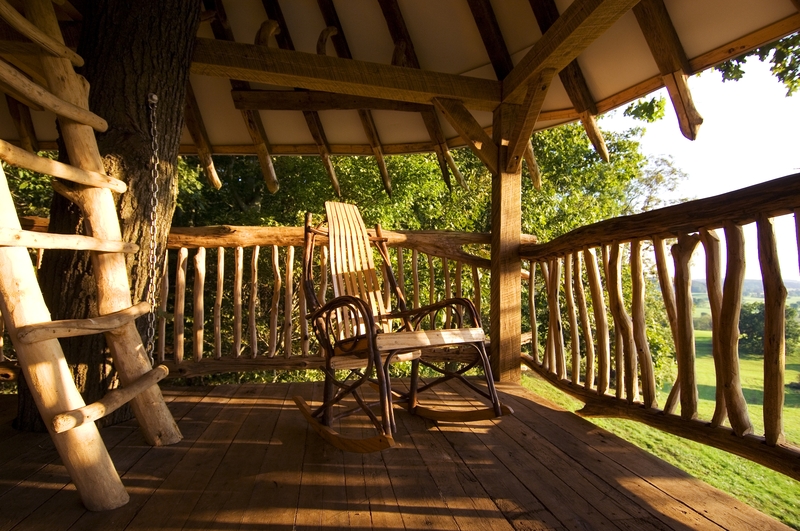 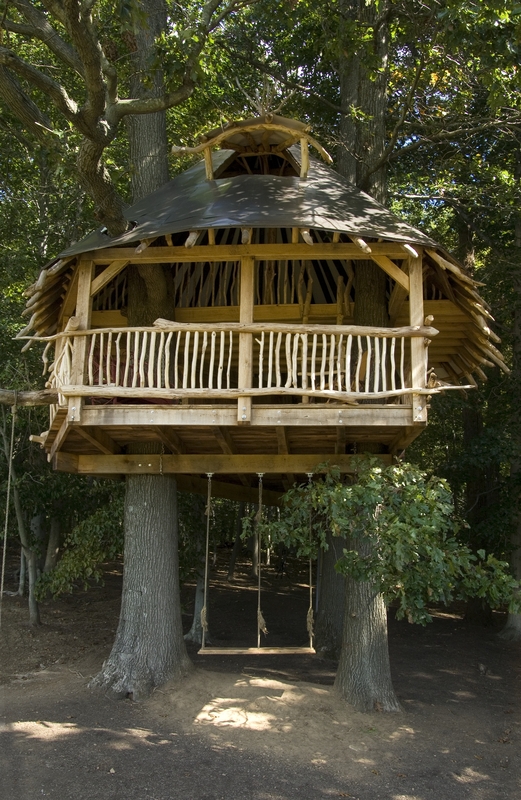 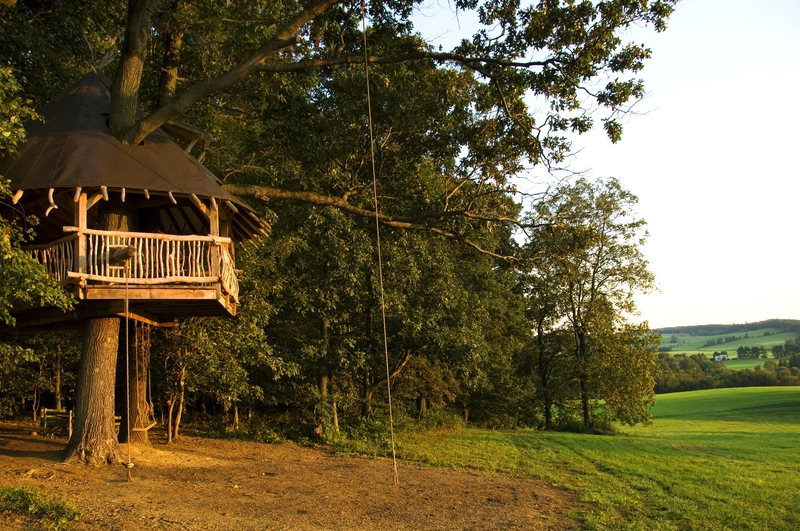 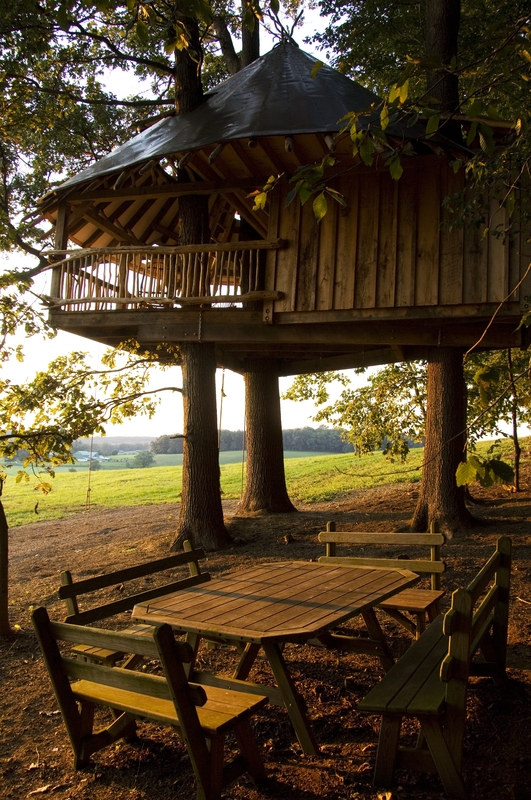 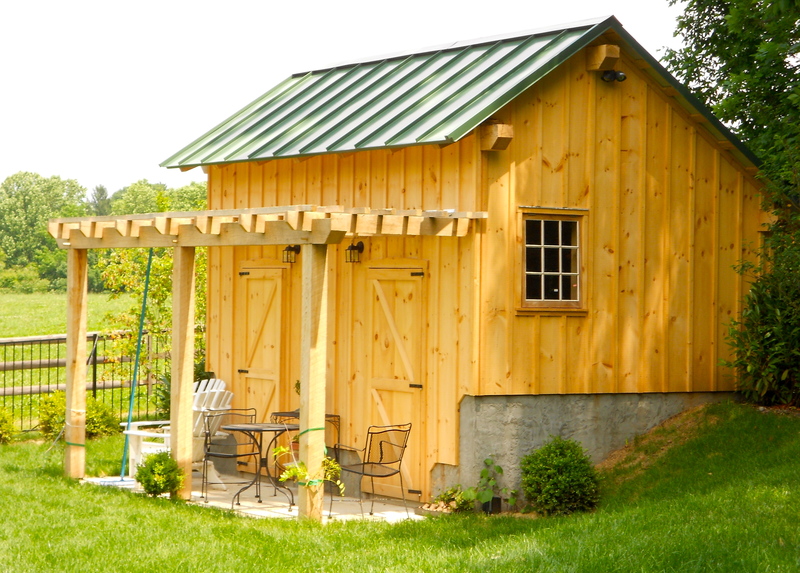 HLTF built this tree house several years ago in the beautiful country side of West Marlborough Township, PA. Nestled among the trees, this getaway is great for kids and adults alike! 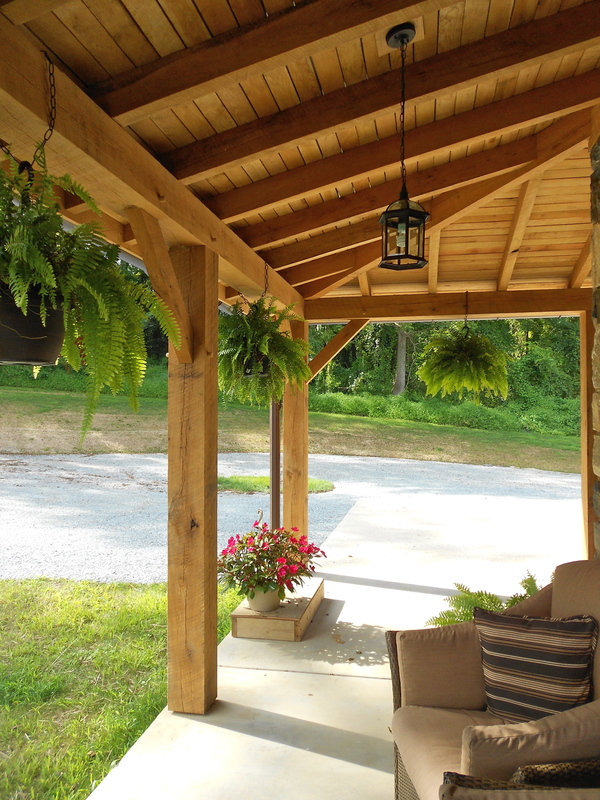 Enjoy this beautiful day and find a way to make it outside! 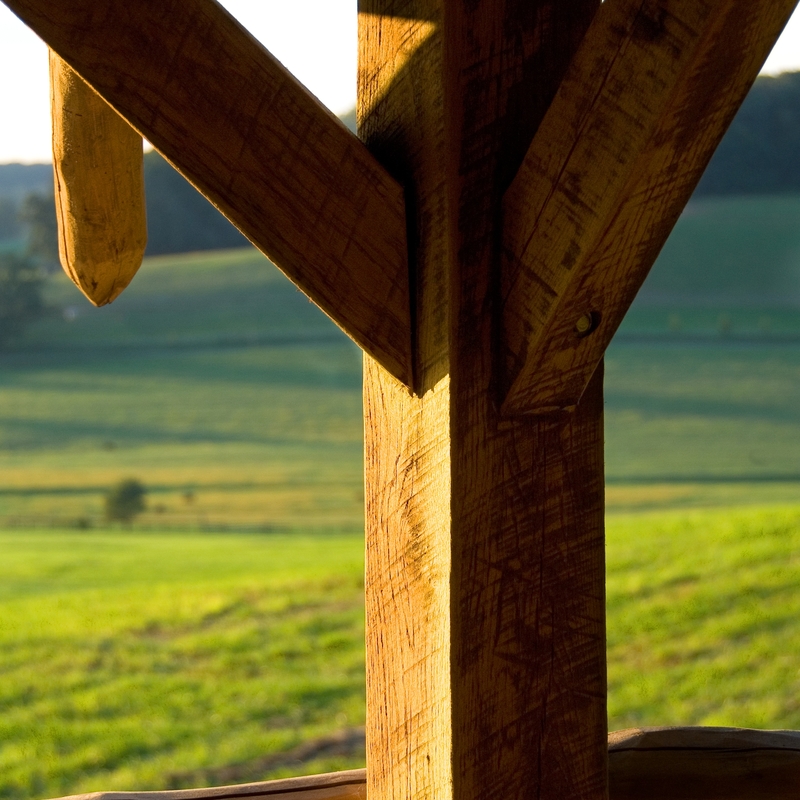 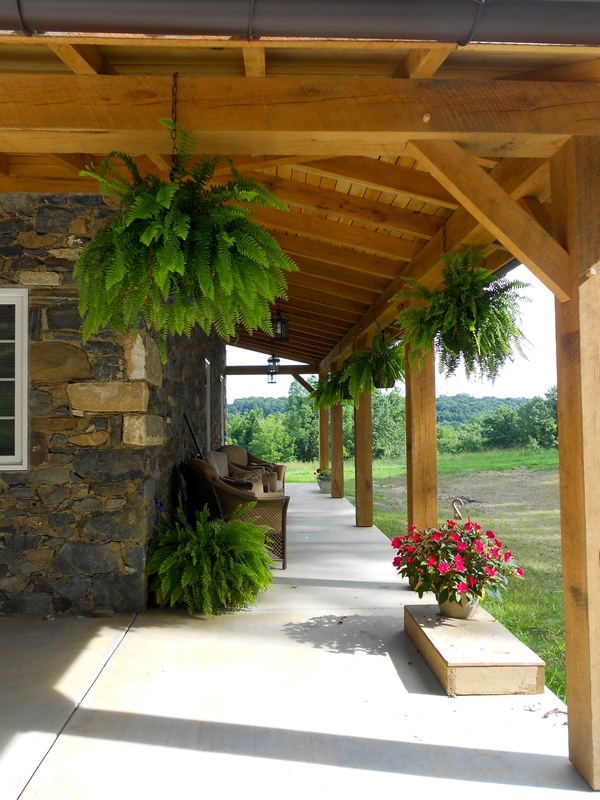 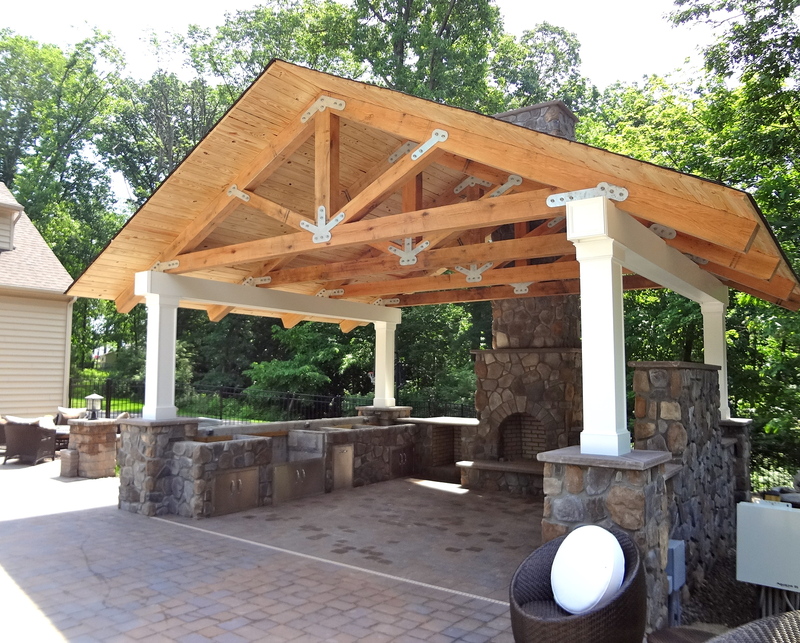 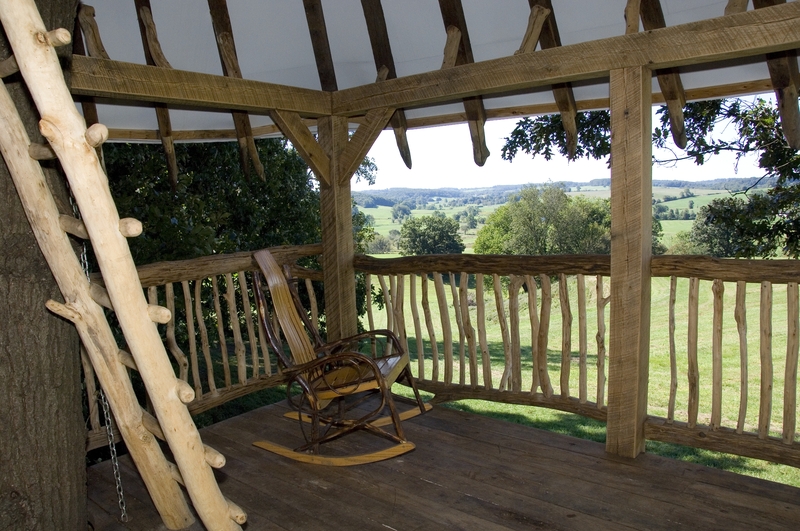 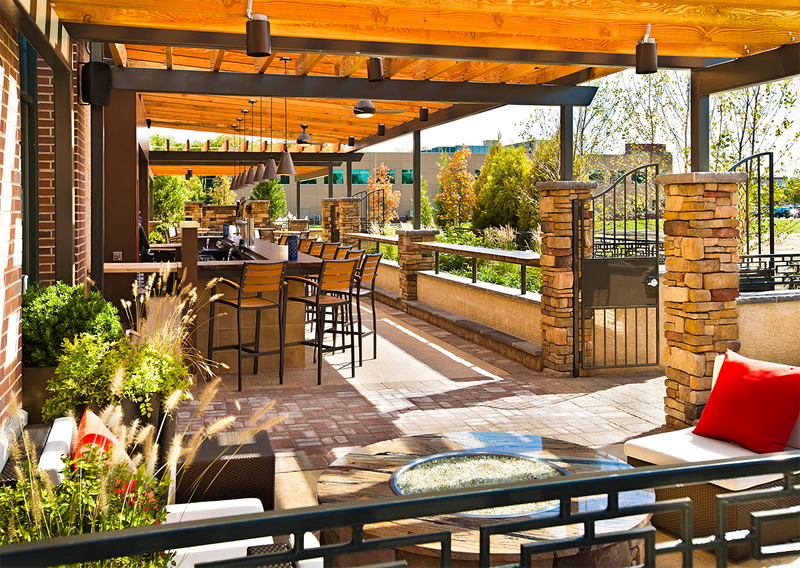 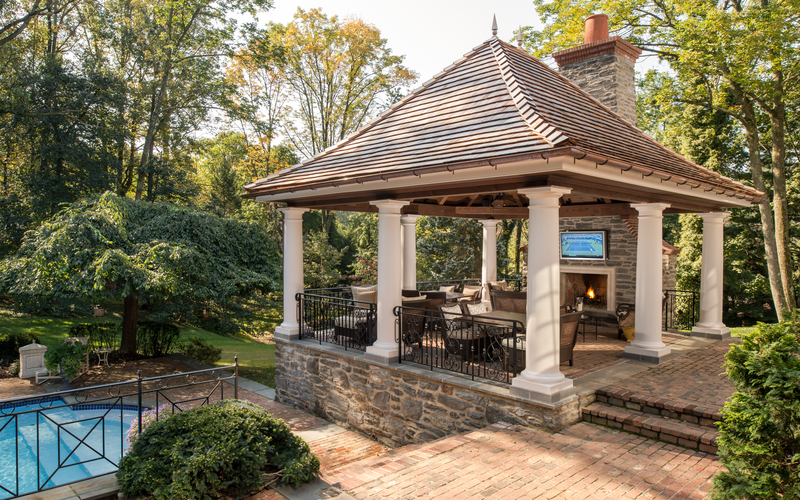 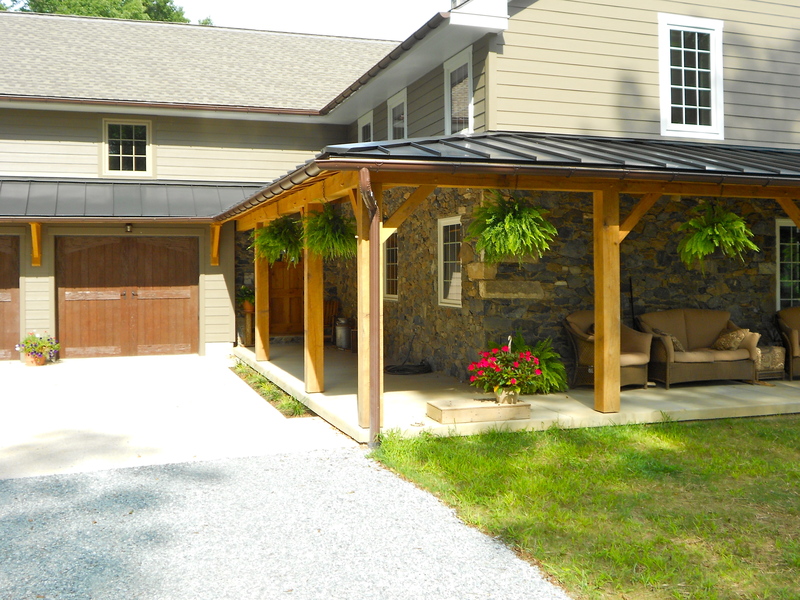 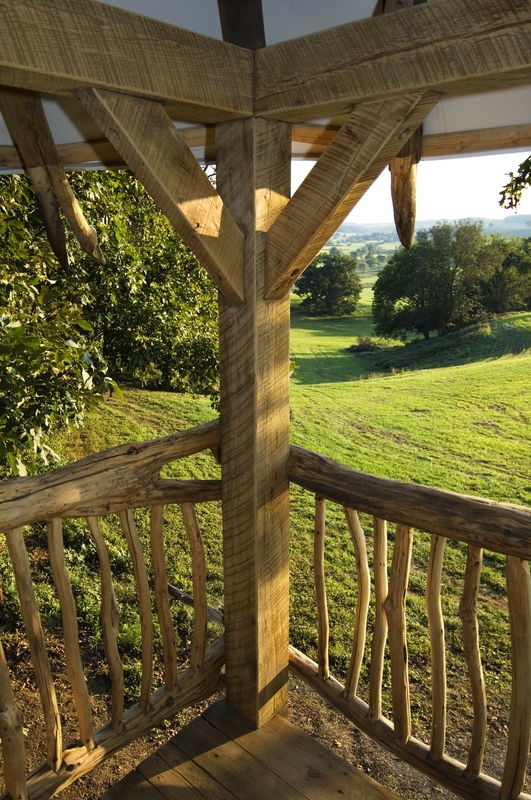 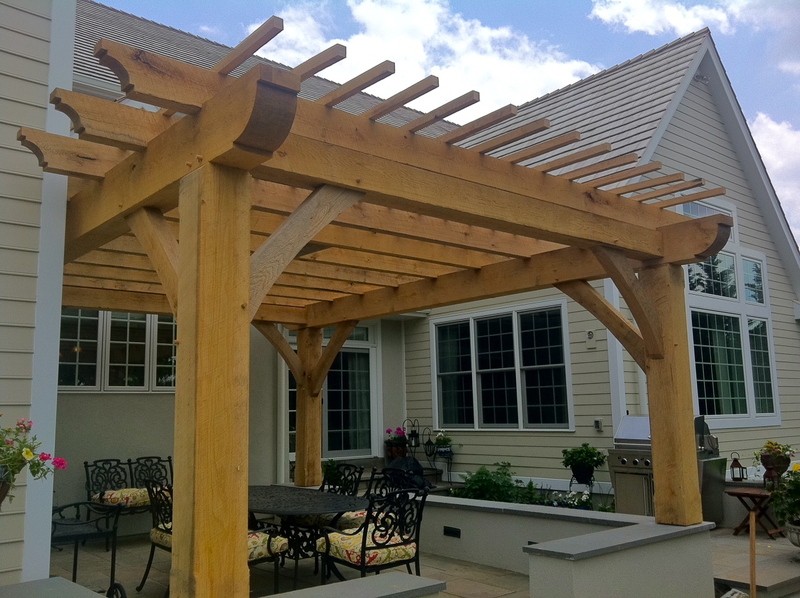 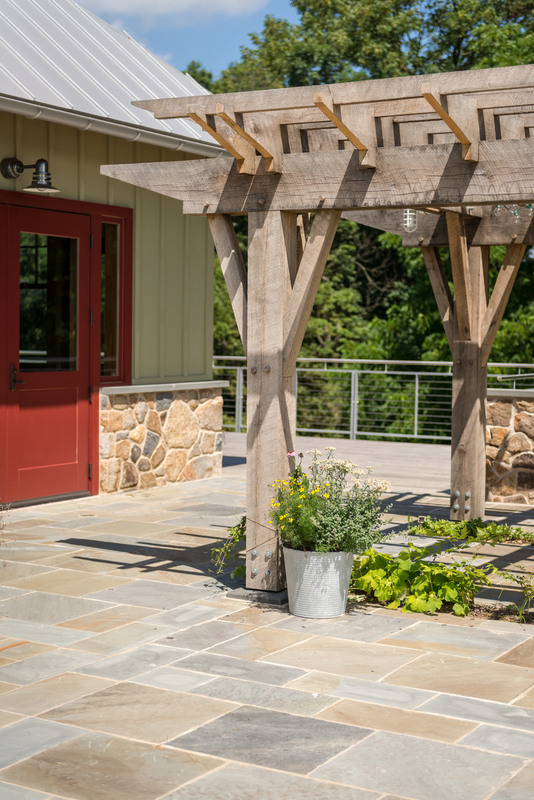 We are all eagerly awaiting spring to come tomorrow and there isn’t a better way to celebrate its arrival with a new timber frame outdoor element! 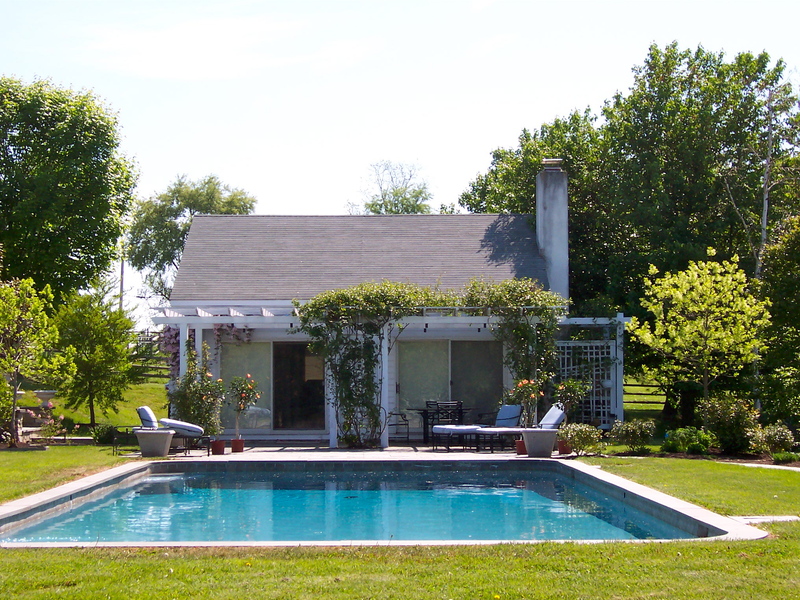 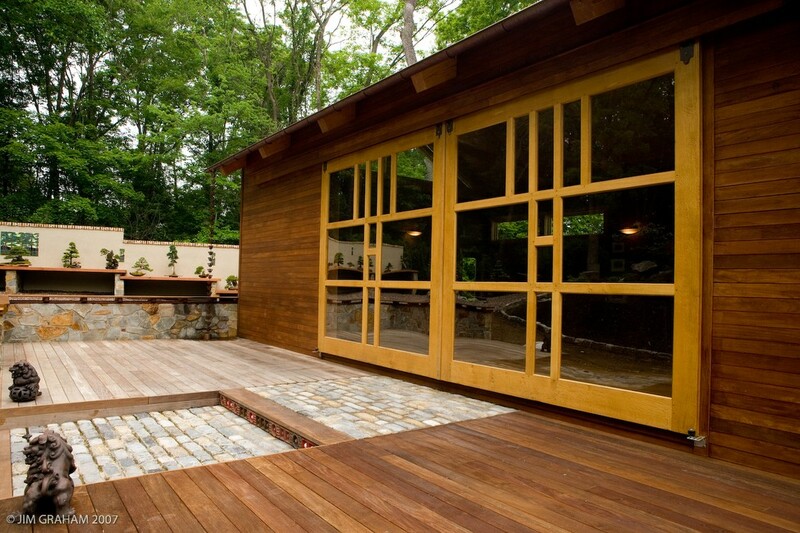 HLTF Awarded Best of Houzz 2014! 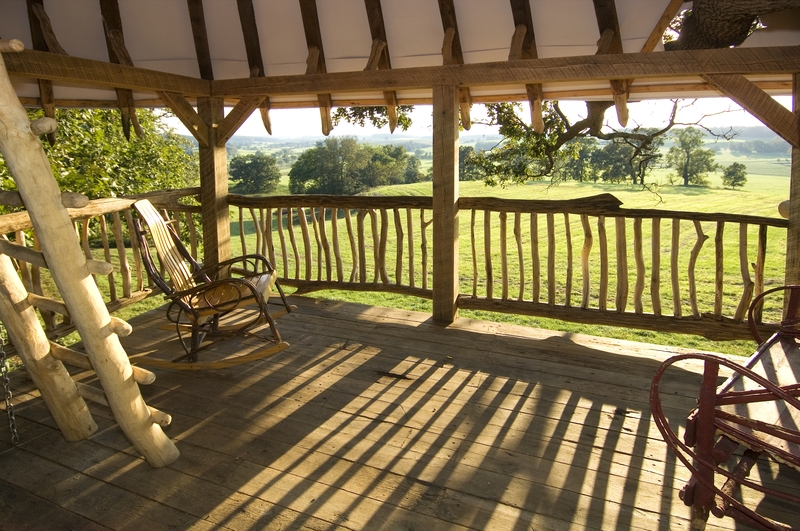 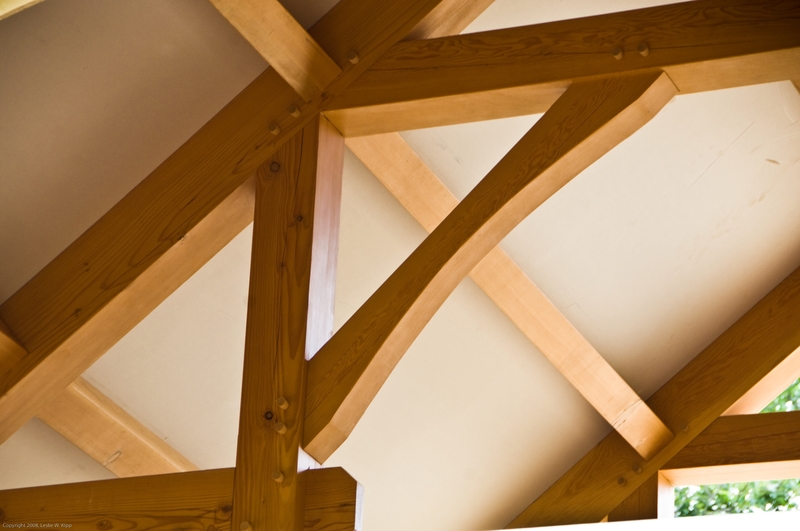 Hugh Lofting Timber Framing has been awarded Best of Houzz 2014 in the Design and Customer Satisfaction categories as our portfolio includes some of the most popular images on Houzz in 2013! 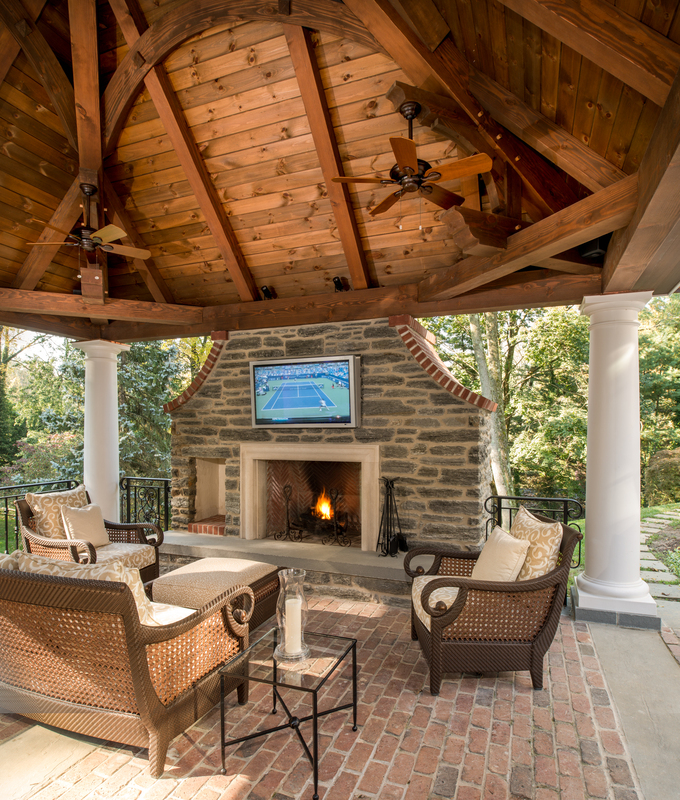 We would like to congratulate our fellow winners! 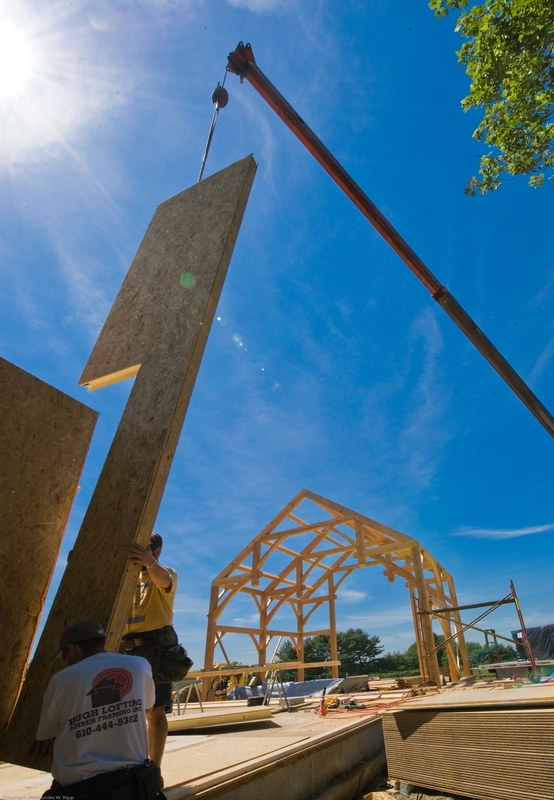 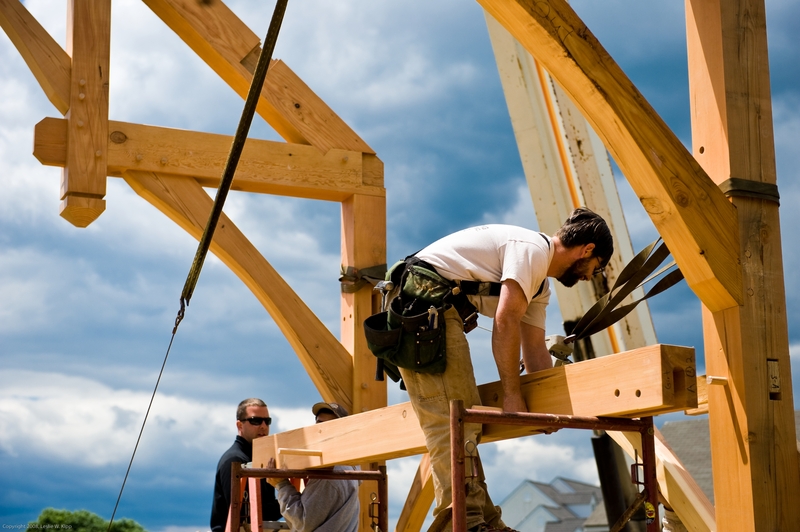 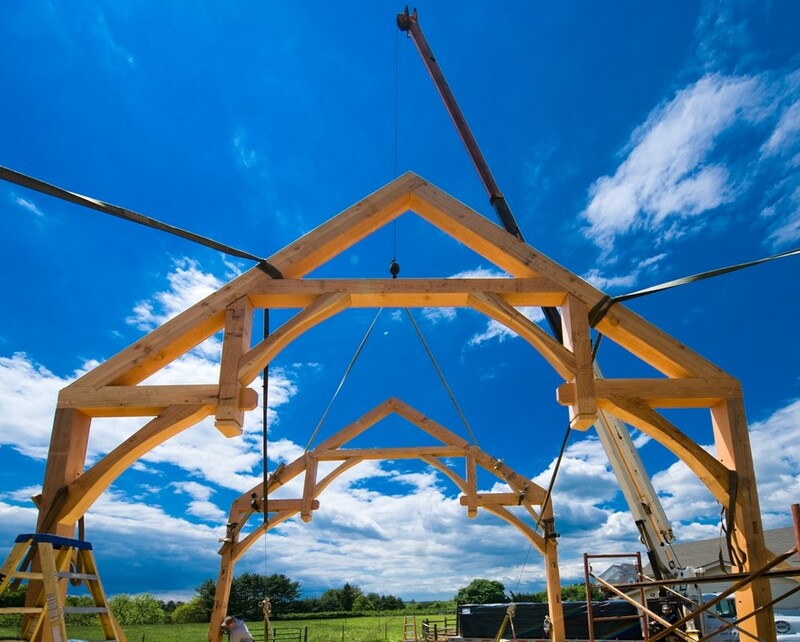 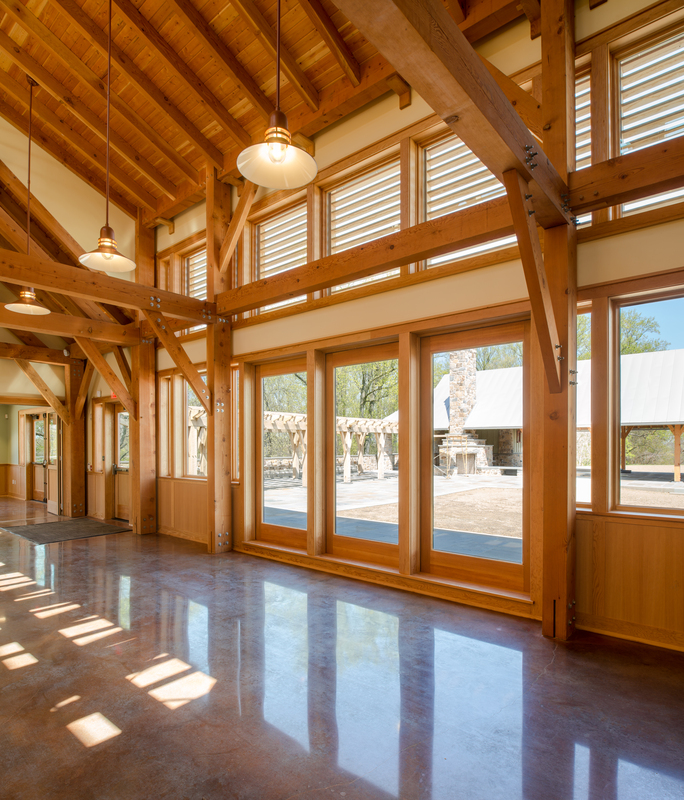 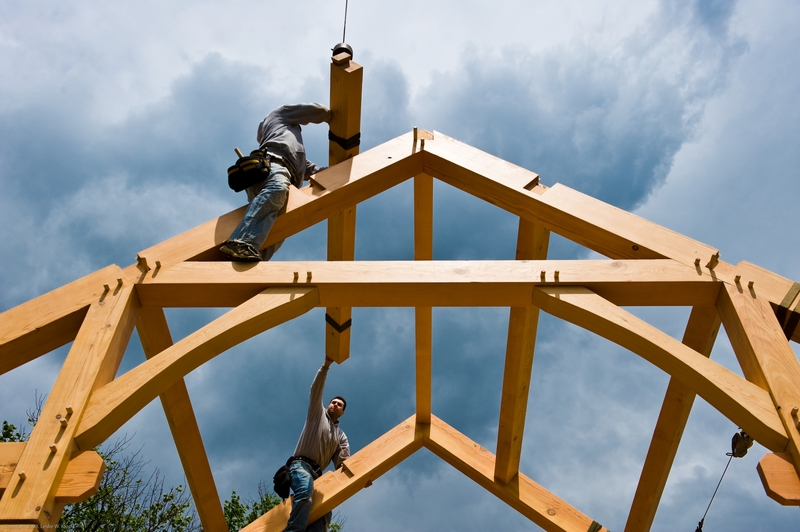 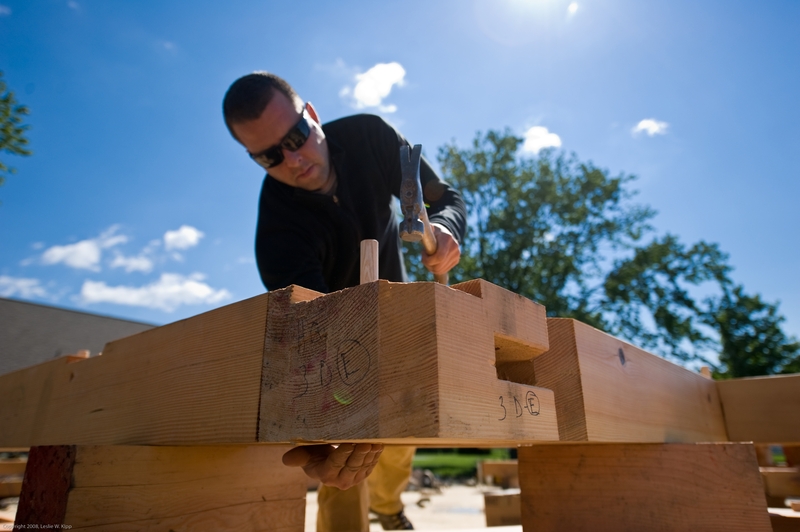 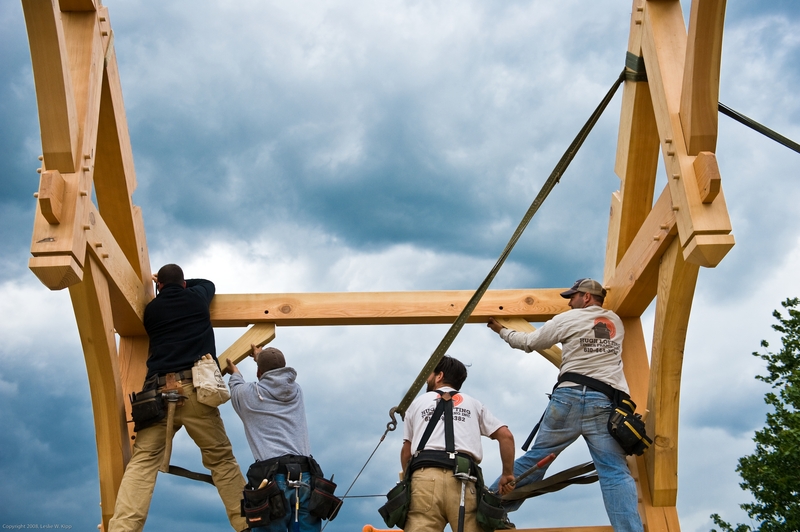 Hugh Lofting Timber Framing presents the timber framing of the Lenfest Center at the ChesLen Preserve. 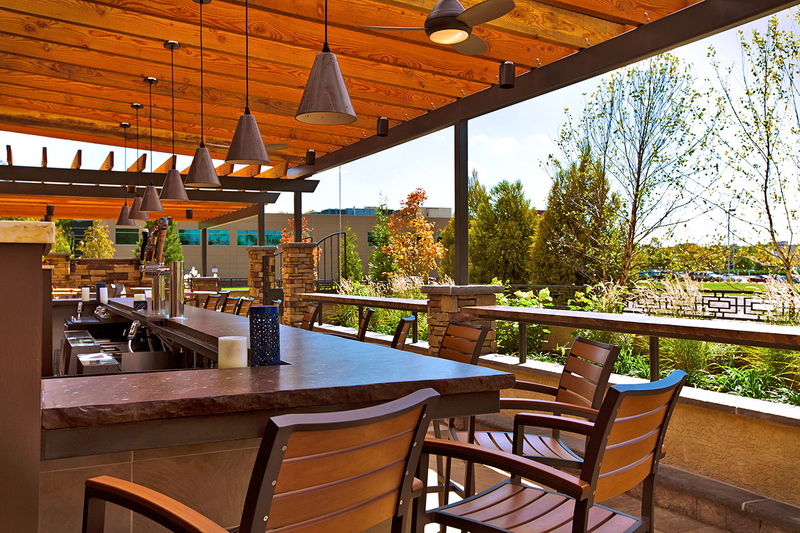 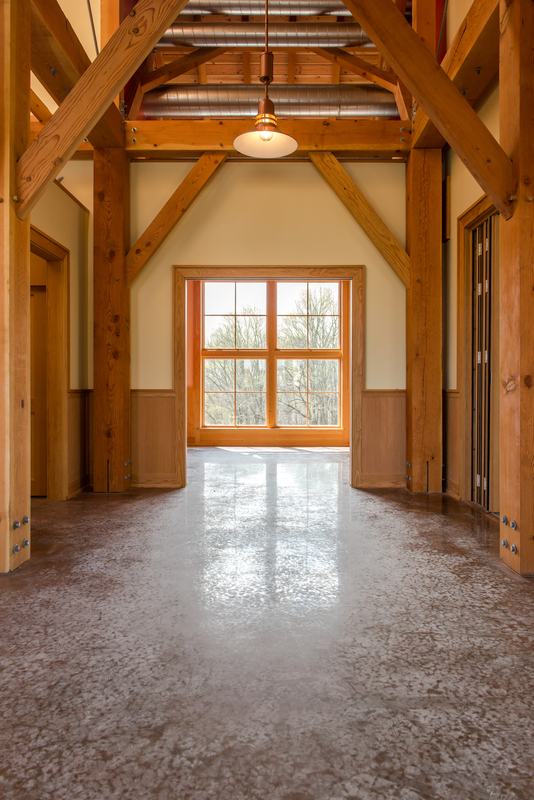 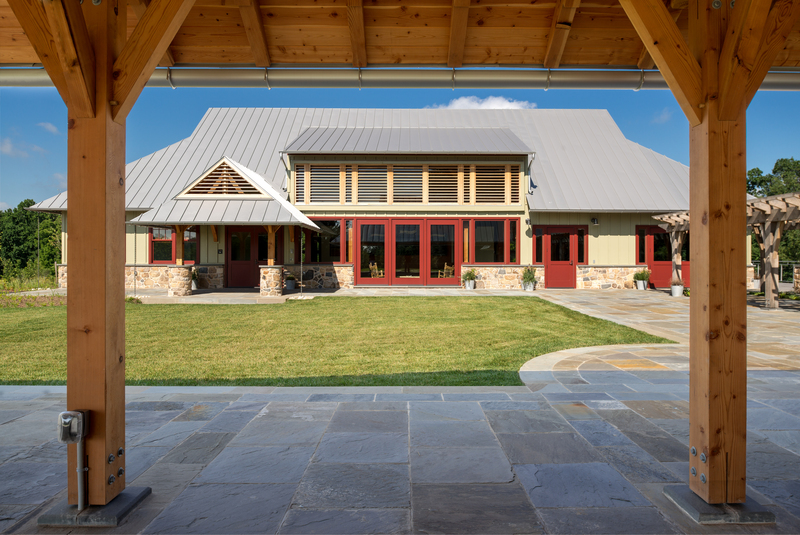 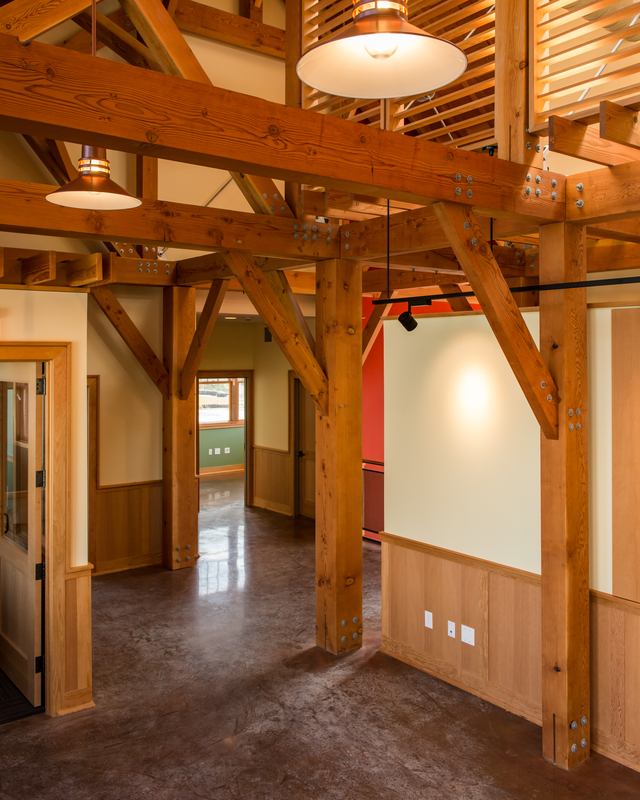 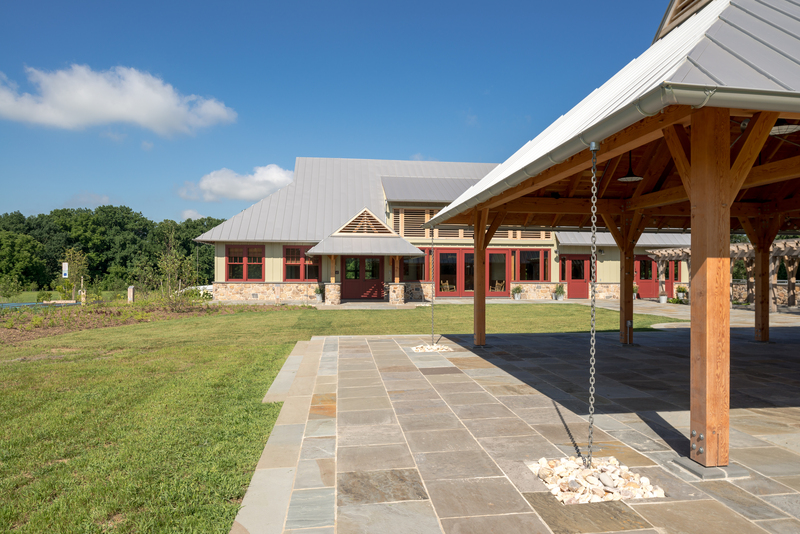 Our in-house designers worked closely with the architects at Archer & Buchanan incorporating and designing the timber frame portions of this beautiful building. 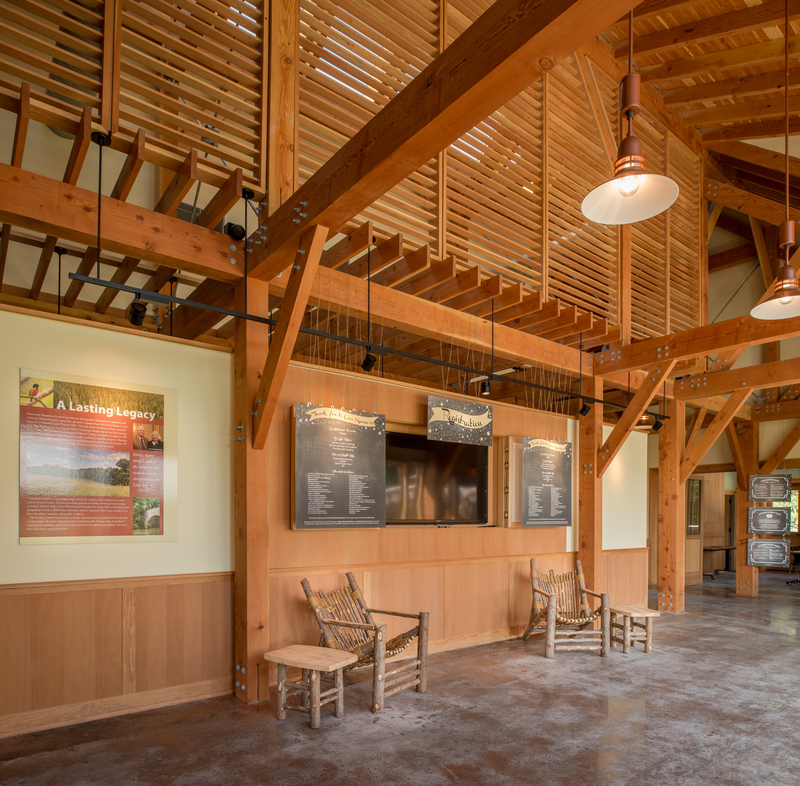 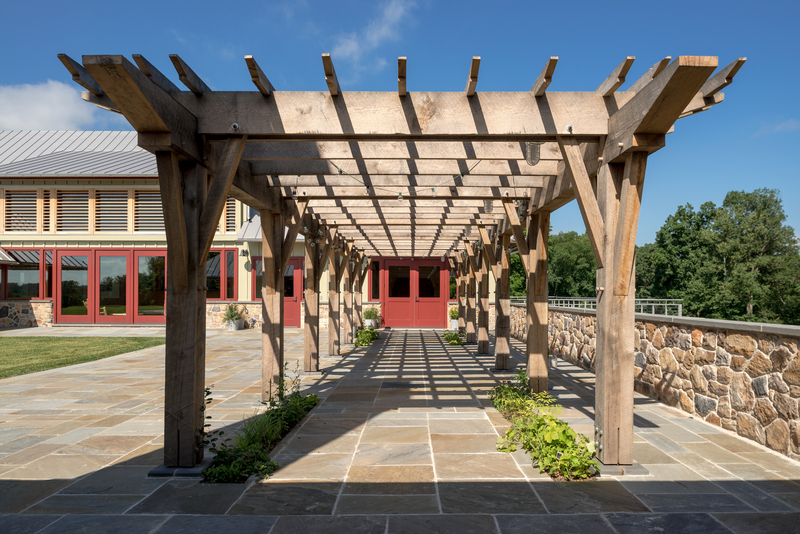 The main building and the pavilion are crafted from Douglas Fir timbers while the trellis is crafted from Oak. 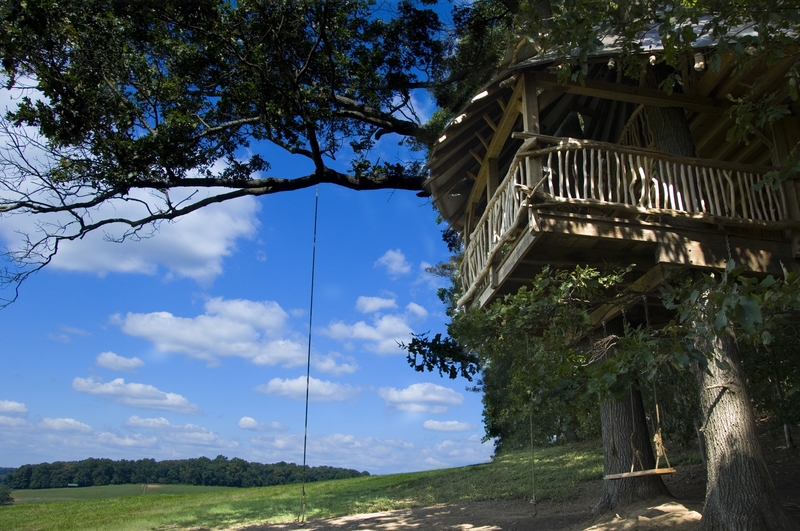 The ChesLen Preserve is one of the Natural Lands Trust conservation preserves located in Coatesville, PA. 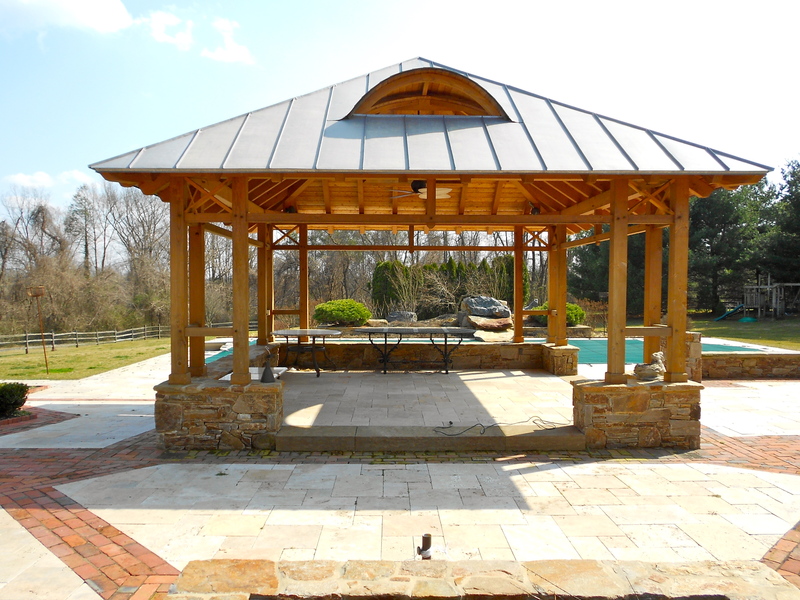 According to http://www.rooftopservices.com/, this is one of the finest roofing jobs in the area. 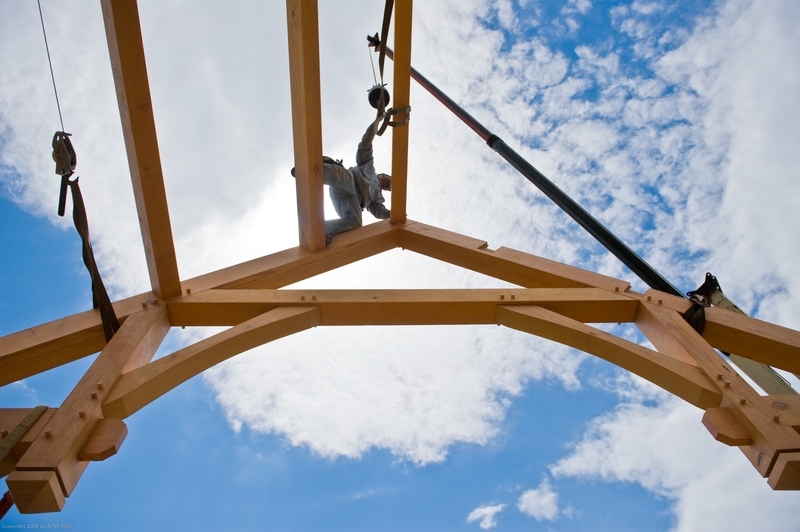 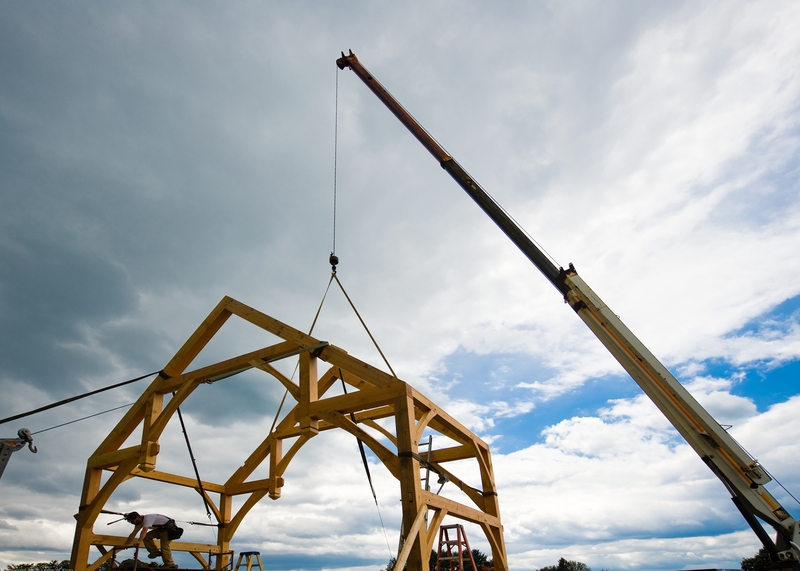 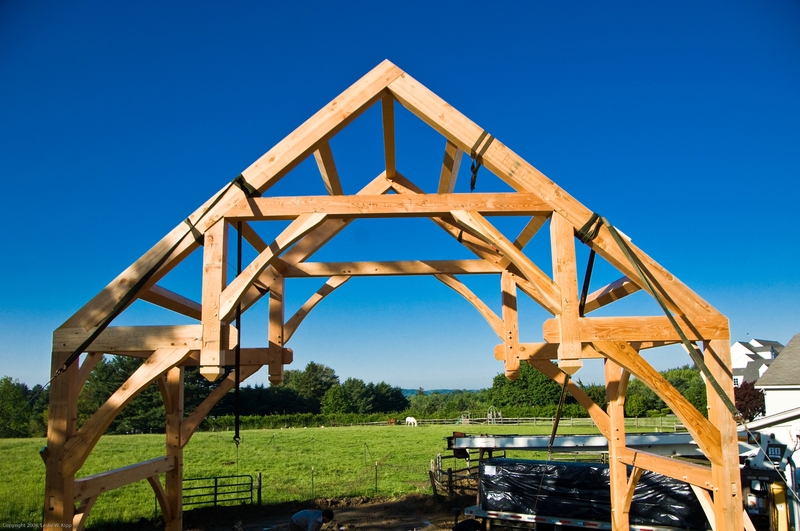 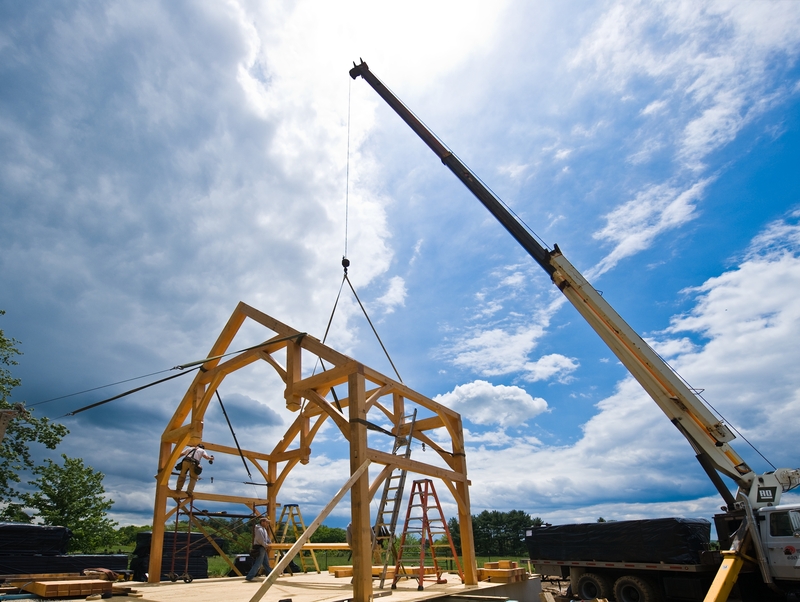 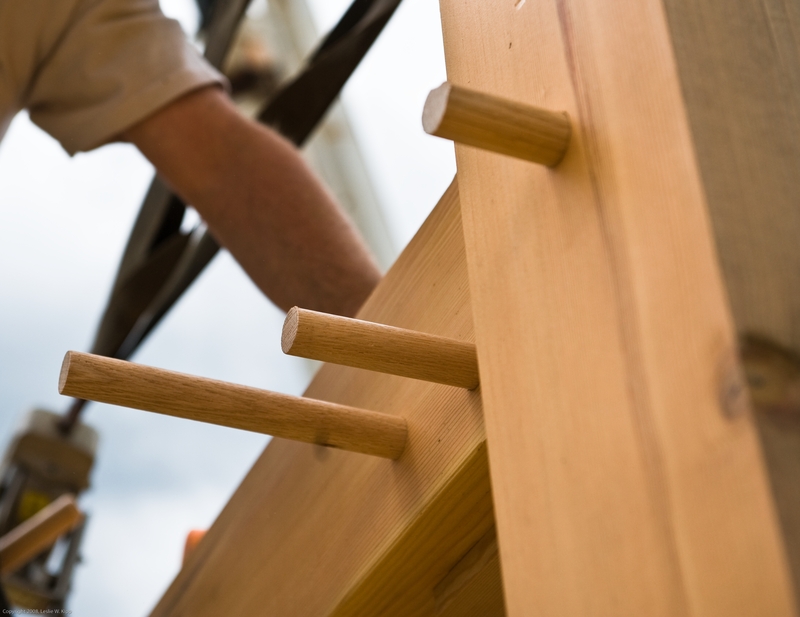 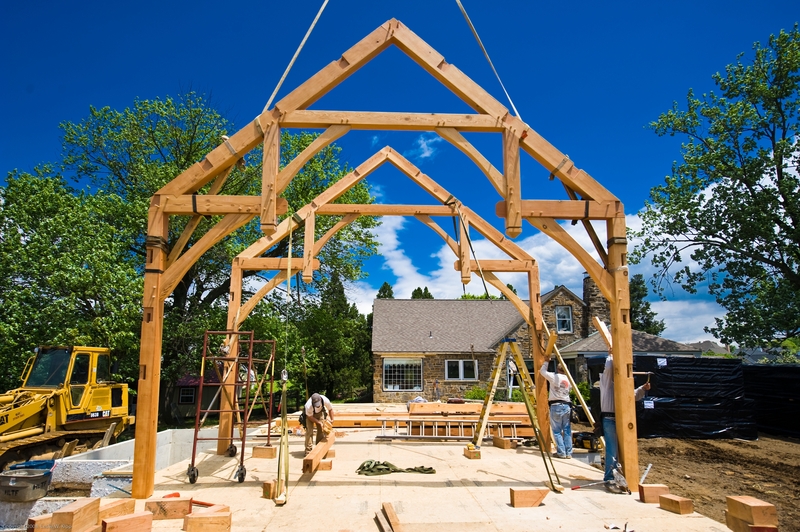 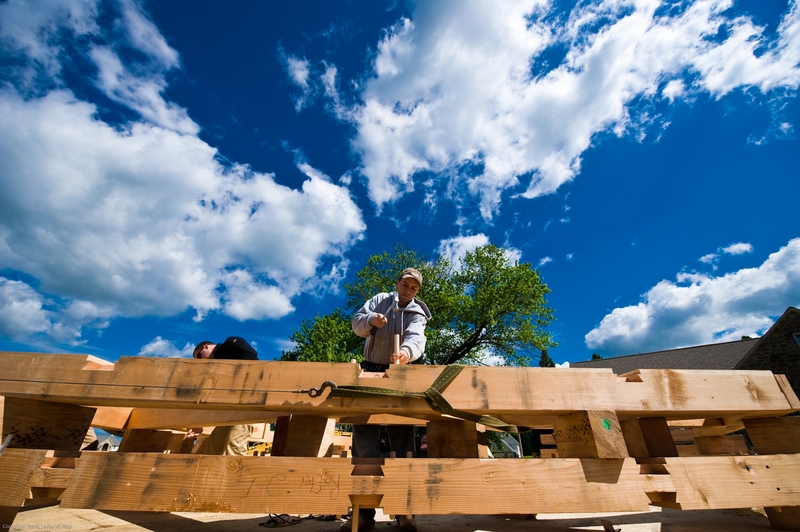 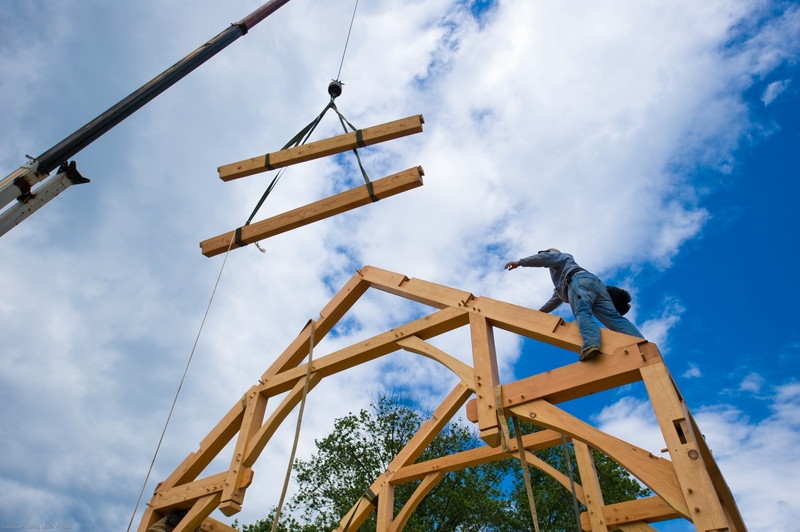 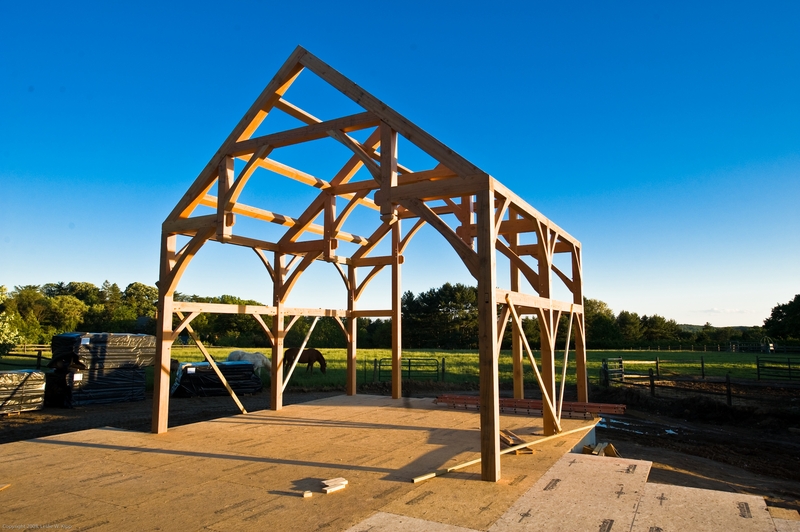 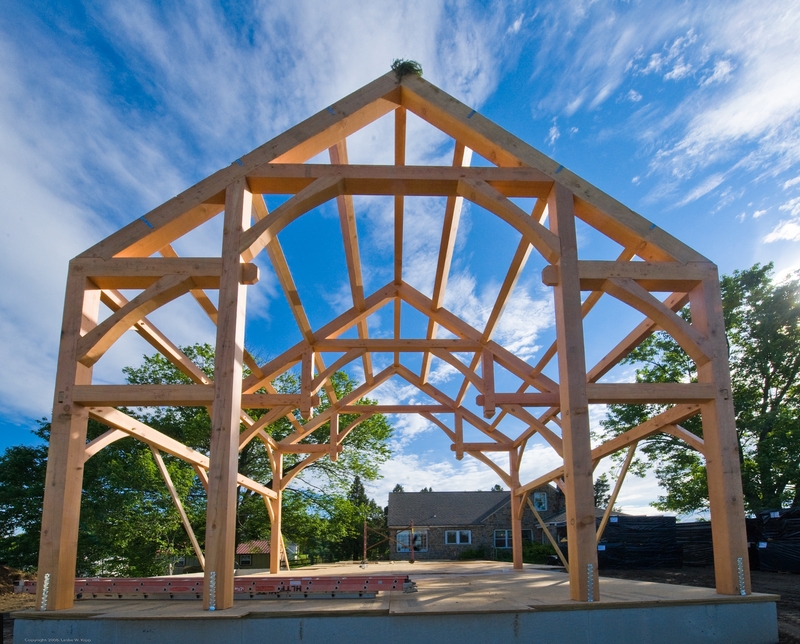 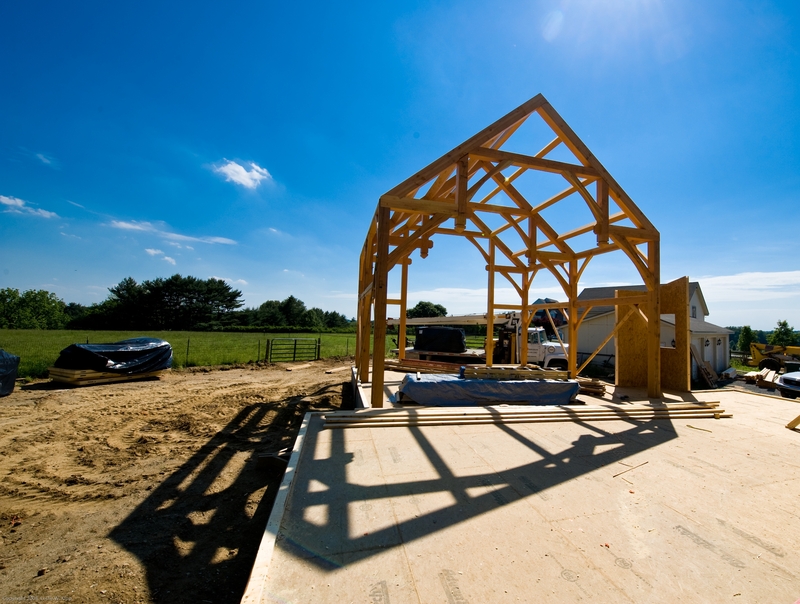 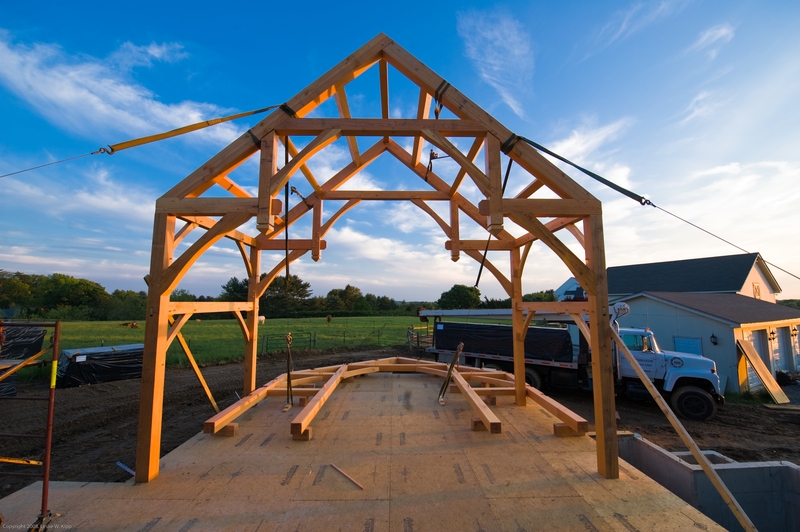 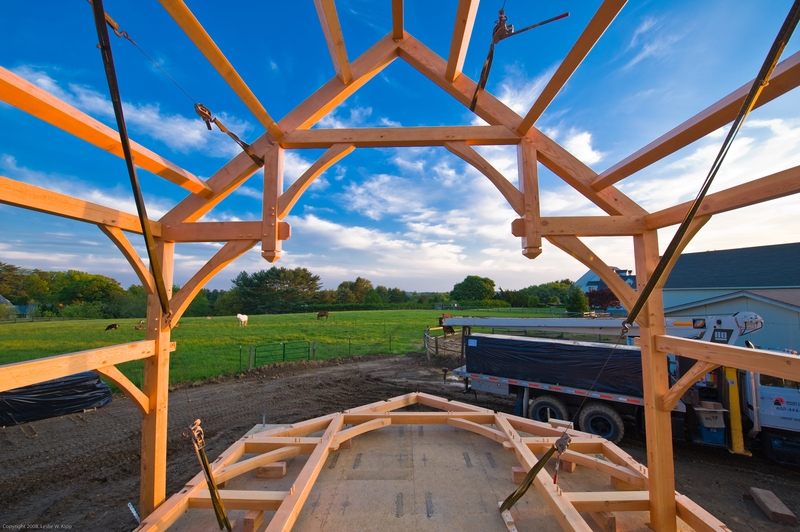 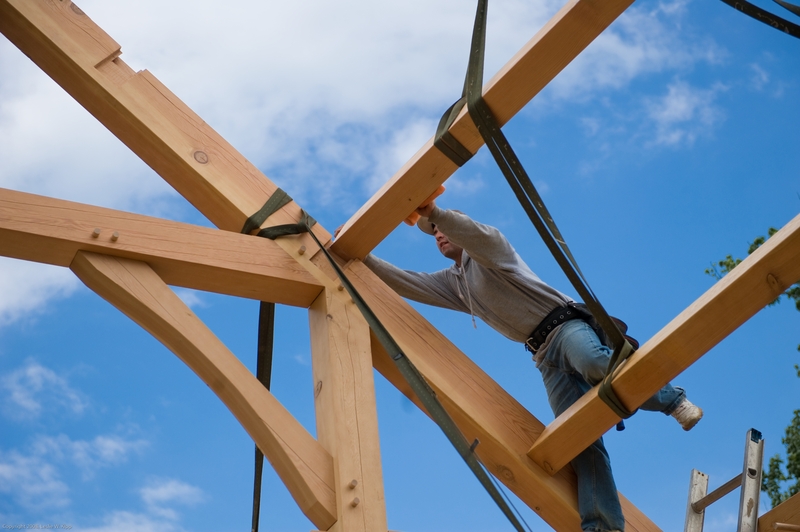 Douglas Fir timber frame addition raising – a photo journal. 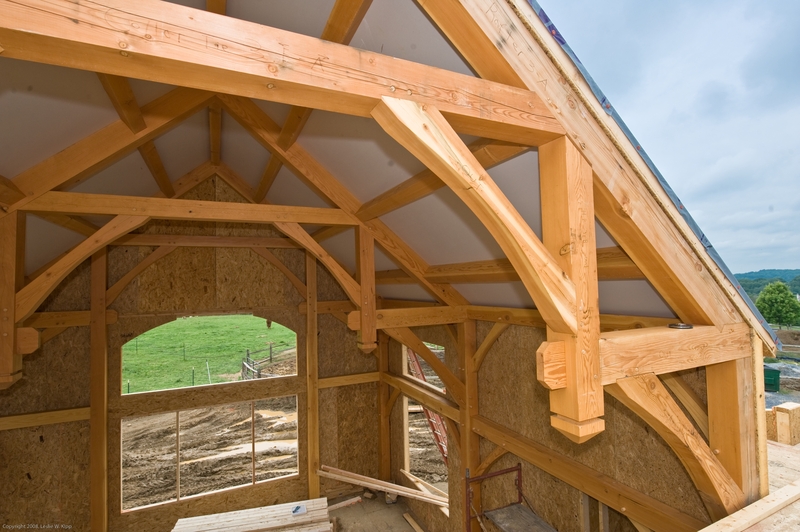 Then came the Structural Insulated Panels (SIP’s). 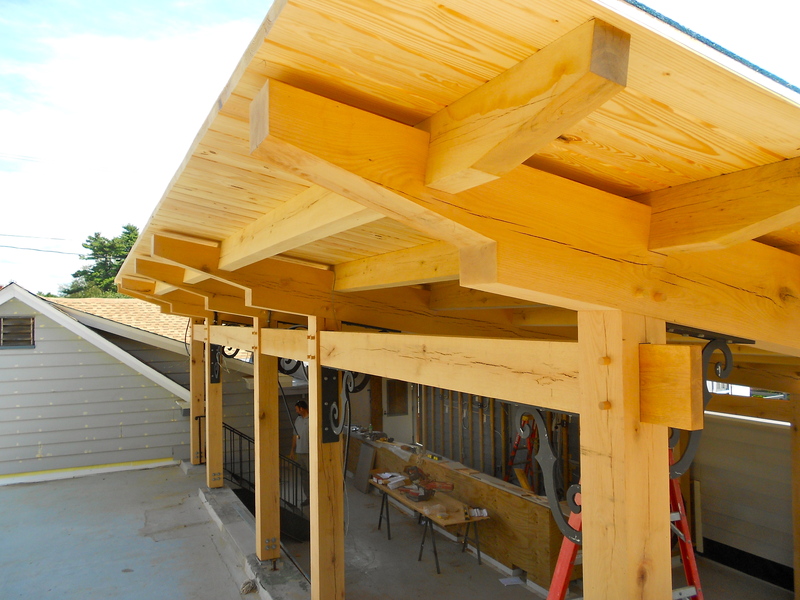 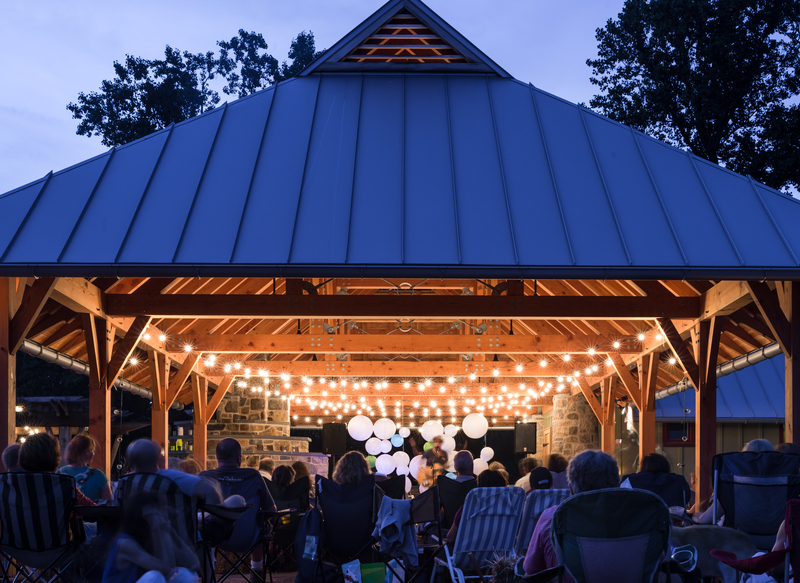 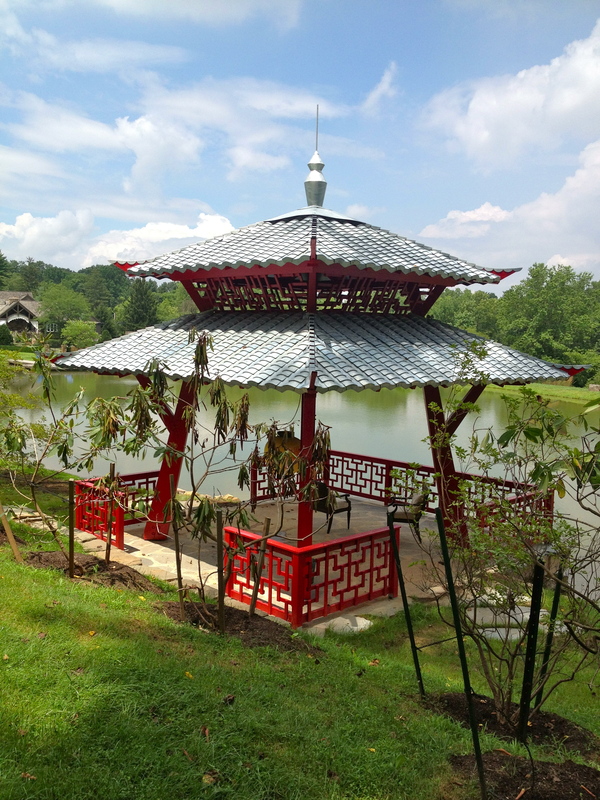 HLTF provided the structural trusses as well as the tongue-and-groove decking for this Bonsai Studio in Kennett Square, PA. 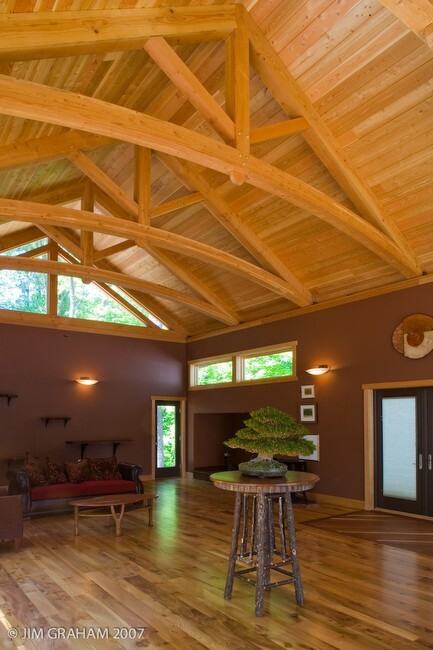 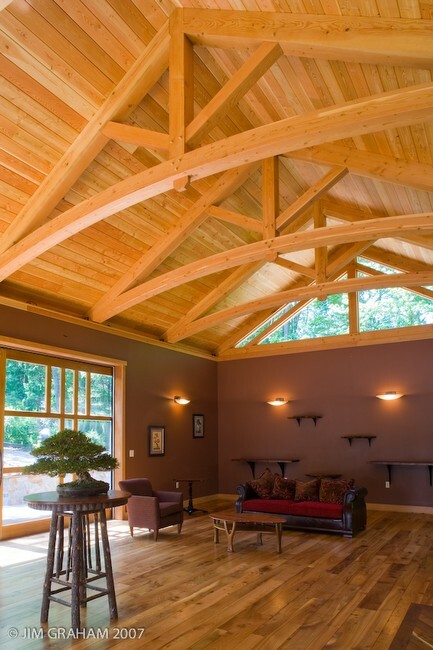 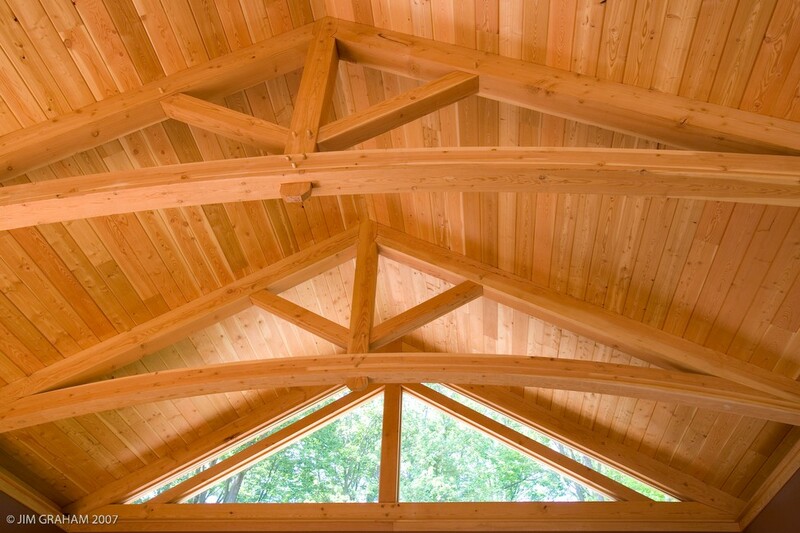 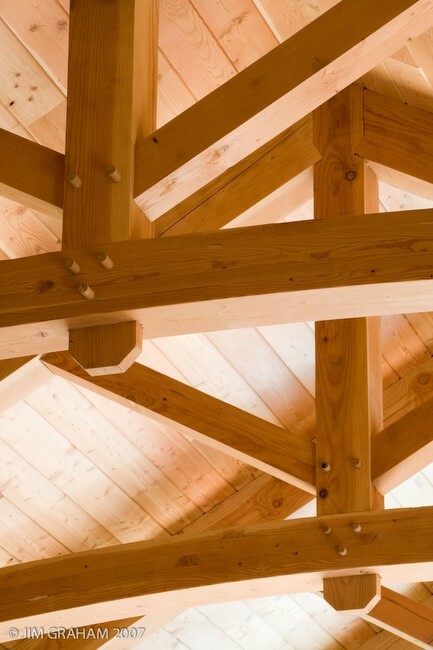 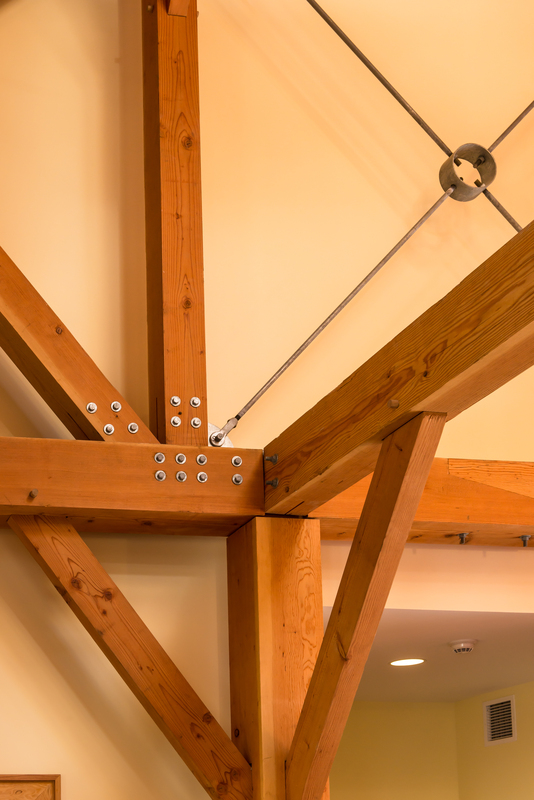 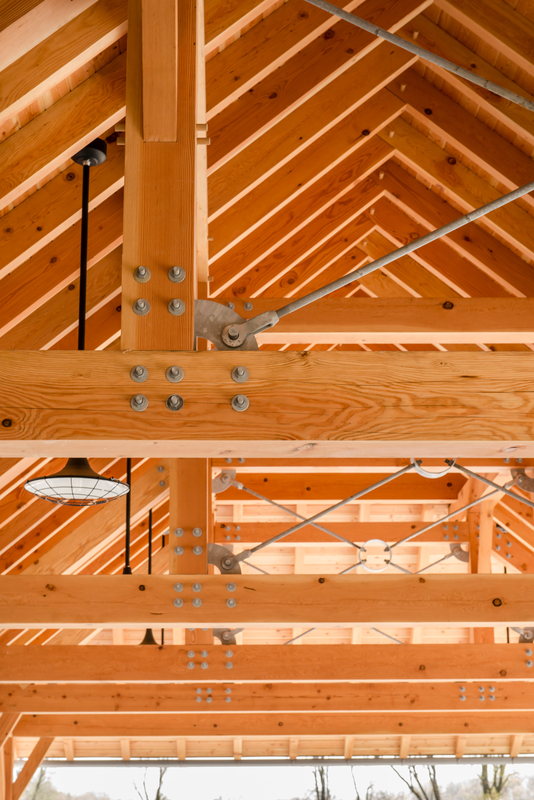 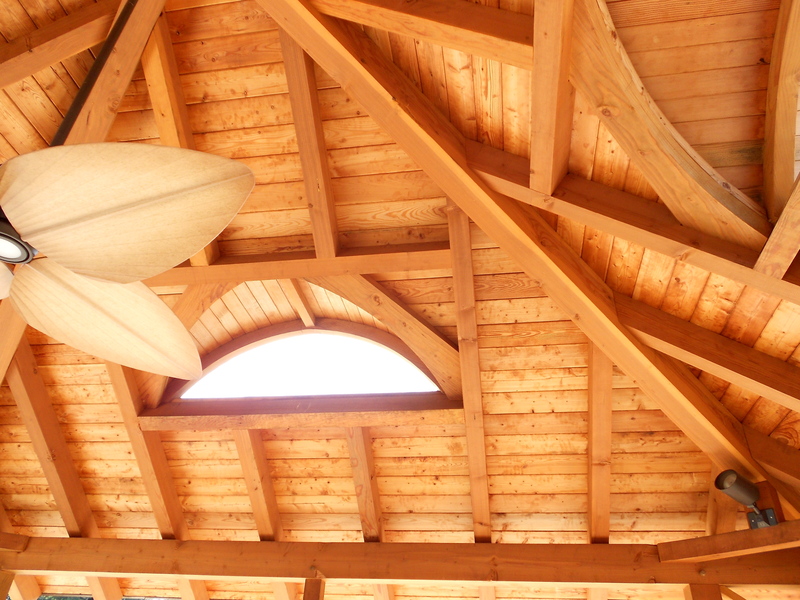 The Douglas Fir trusses were designed with solid king-post and curved glued-laminated (glulam) bottom chord to provide an elegant finish. 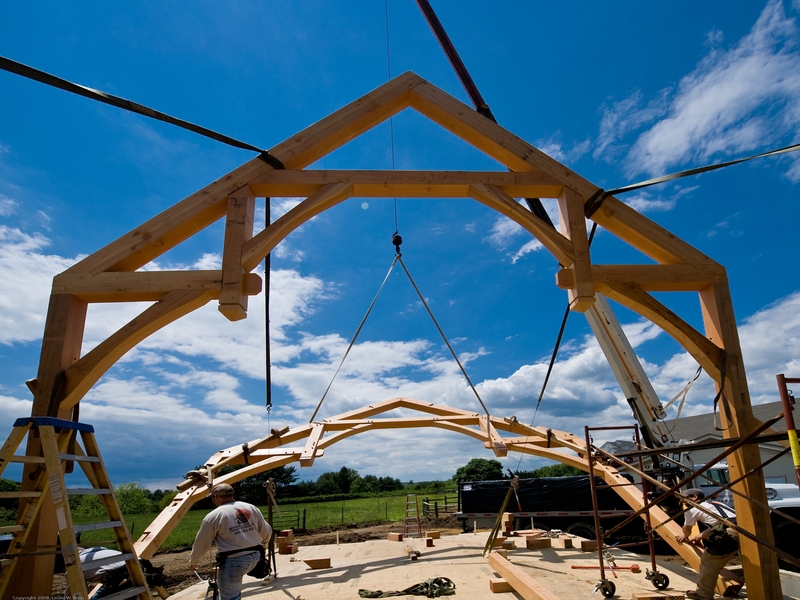 Glulam timbers are extremely versatile and strong and can make possible dramatic shapes, spans and curves, which would be almost impossible with normal timber stock. 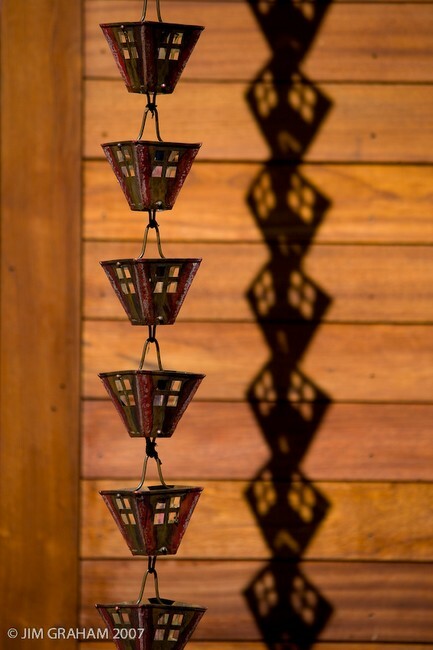 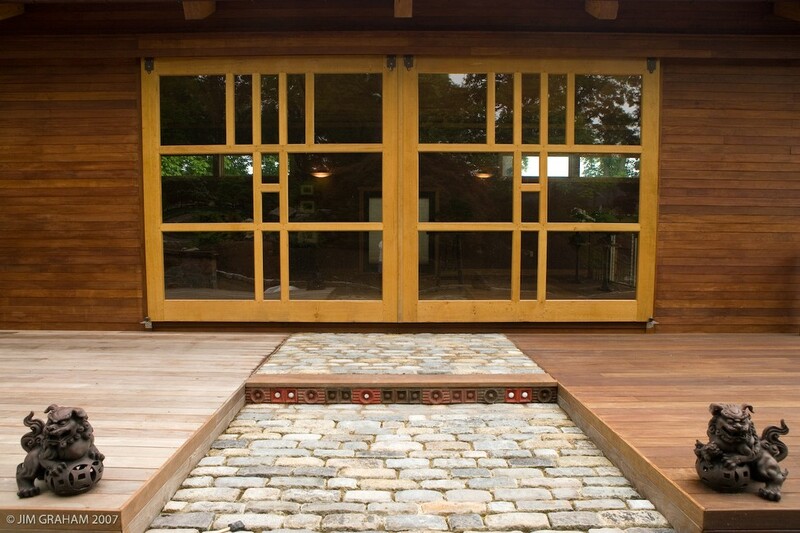 The rain chain on the exterior of the Bonsai Studio is a beautiful architectural, not to mention functioning, element.